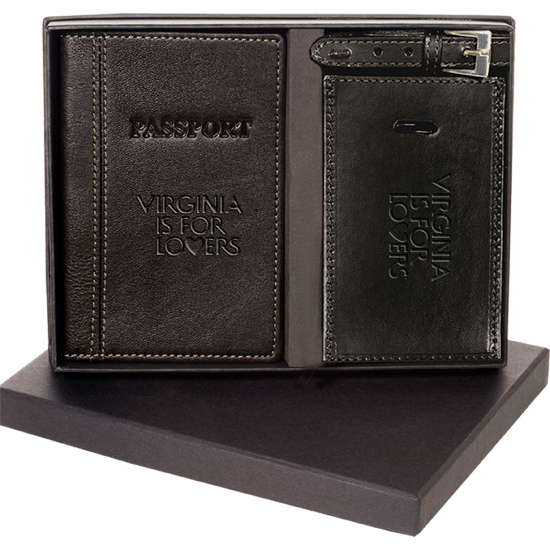 Gift box with the Whitney™ Rectangular Luggage Tag/Spotter and the Voyager™ Passport Jacket. 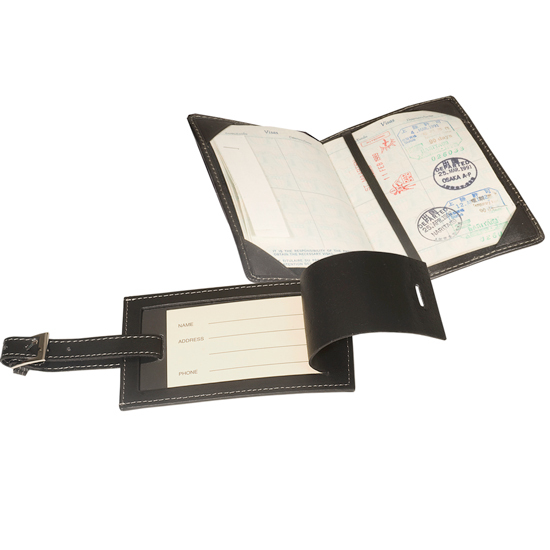 Passport jacket is top-grain leather with faux suede lining. Cowhide leather luggage tag with silvertone buckle. Decorated with the Virginia is for Lovers® logo.